Update: Congratulations to Darrel Heathcote who will be wearing this holster with pride this summer. He’s scored this beauty. If this is not you then no worries, more contests are en route. Back in the day it was fashionable to wear your smartphone on your hip. Thankfully, as time progressed, the trend shifted and users, including myself, opted to carry their device in the hand or pocket for ease of use. It now seems there is a new hipster in town that’s aiming for the upper part of your body. 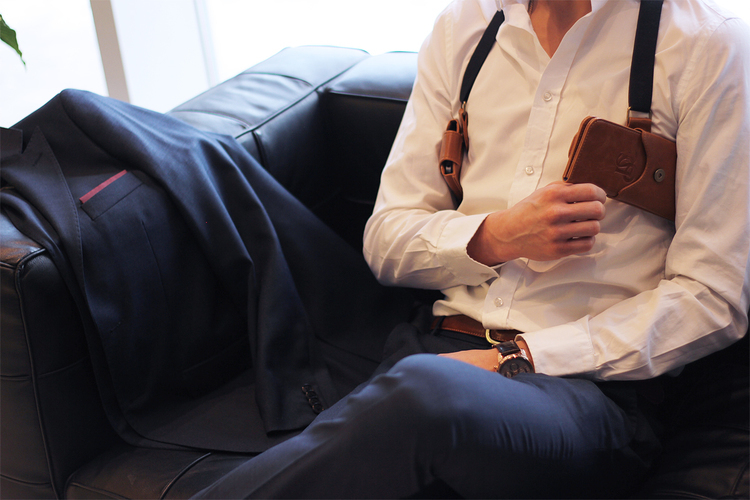 Toronto-based LD West have hand-crafted the “Original Holster.” This looks like a gun holster, but was specifically designed to pack in your smartphone and your wallet. The Holster is made from vegan leather (doesn’t bleed onto clothes or absorb bodily odours) and has thick suspender-style adjustable elastic bands. The goal is to wear this atop a t-shirt, over a dress shirt, or under a blazer, and makes you look like you should be in GQ while giving your valuables a fashionable enhancement. 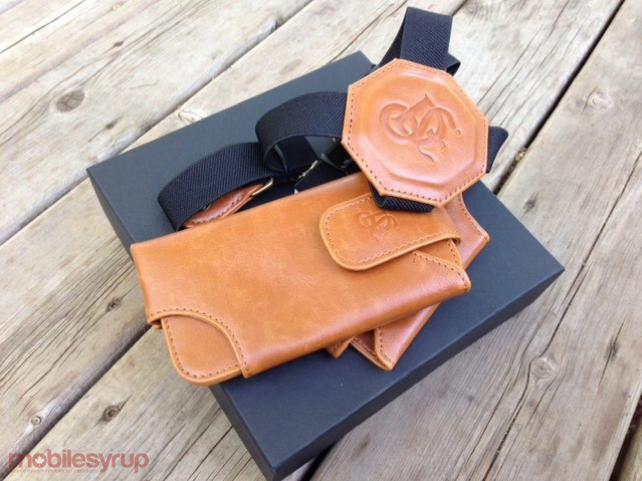 The holster accessory costs about $100 and is available at select retailers in Toronto, but the good news for all the hipsters out there is that we have one of them give away! All you have to do is leave a comment below as to why you’d want to win this Canadian gem!